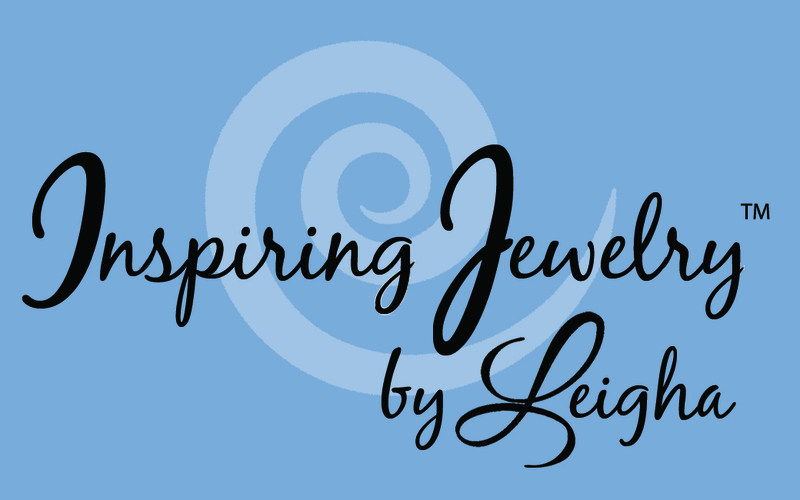 They choose December / Blue Topaz Birthstone Crystals and they added a Heart Lobster claw clasp with an extension and a split ring. 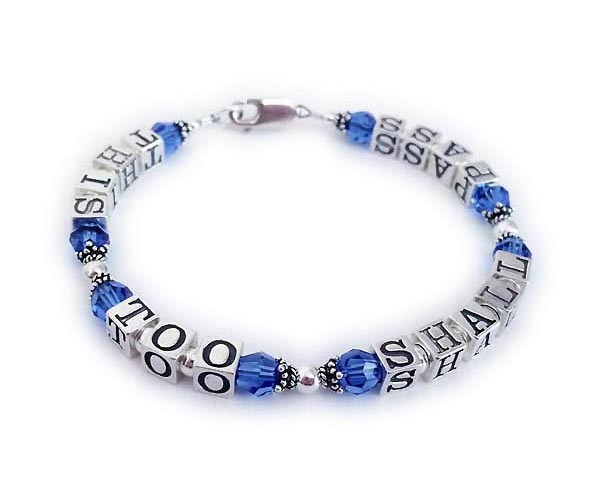 This sterling silver "This Too Shall Pass" bracelet is shown with 6mm round light blue / December / Blue Topaz Swarovski crystals. They added a Heart Lobster claw clasp with an extension and asked me to put a split ring on the bracelet so they could add a charm that they already had. 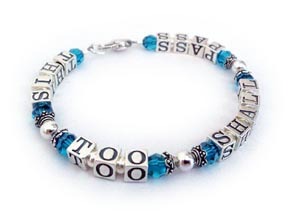 You can put any message on this bracelet. Up to 12 letters will fit. You may add 14k gold-filled beads to this design (check box below). I will replace all the sterling silver smooth round beads with 14k gold-filled beads of the same shape and size. 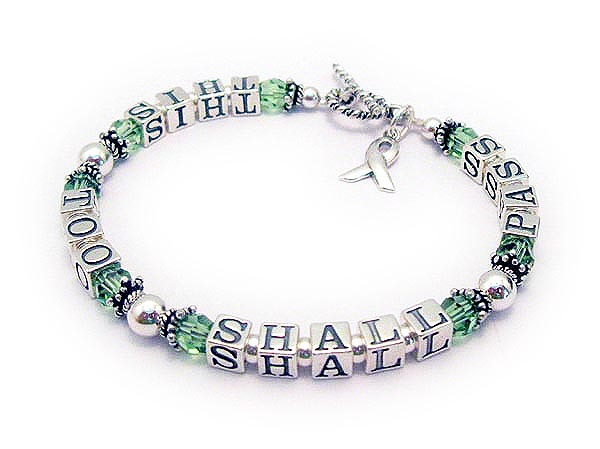 Crystals and add-on sterling silver ribbon charm. Shown with one of my free Twisted Toggle Clasps. The necklace will look just like the bracelet with about 7" of beads on a sterling silver necklace chain.